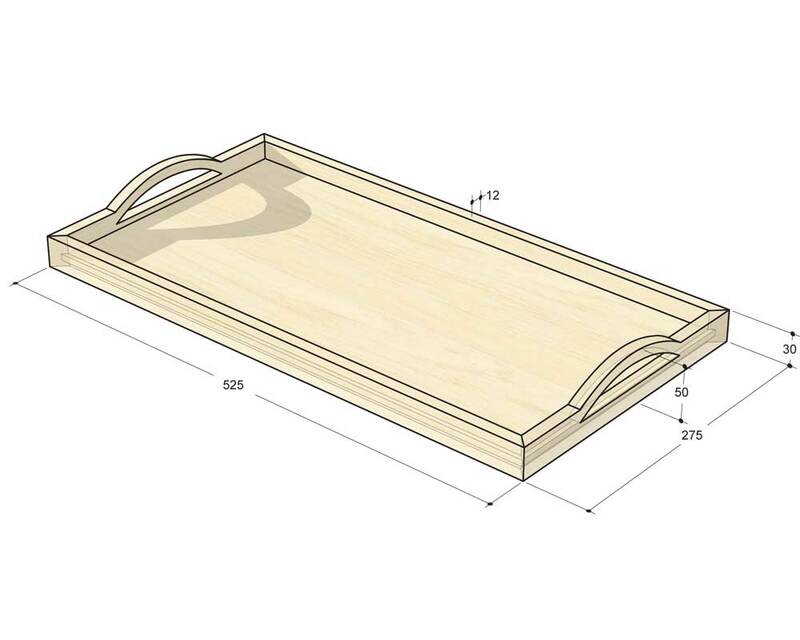 This month's project is a small tray. I had been trying to think of a use for some thin strips of horse chestnut (Aesculus hippocastanum) that were lying around, and decided that they would be ideal to make the base of a tray. 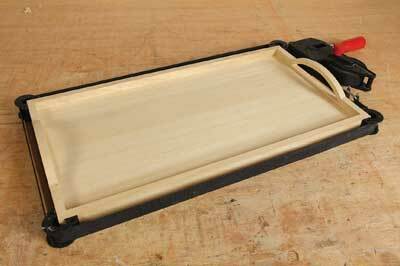 This is a relatively simple project to make but you will need a frame clamp to hold the final assembly together. The pile of offcuts awaiting transformation. 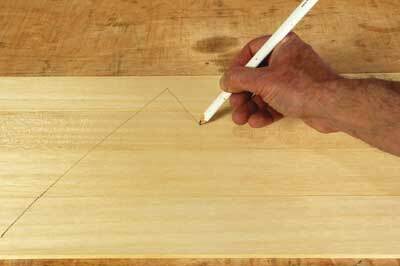 The first job is to plane the edges of the board so that they can be joined neatly. 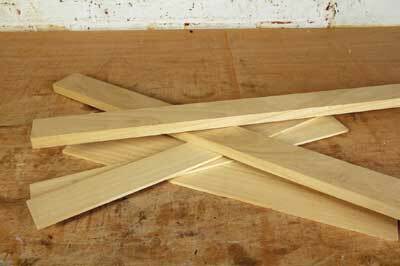 Arrange the boards and mark them with a 'V' so that you reassemble them in the right order. 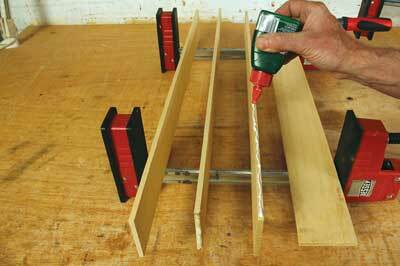 Next, you need to apply glue to one edge of each board. 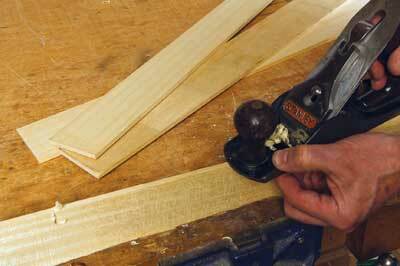 You now need to clamp the project up tightly and leave to set. 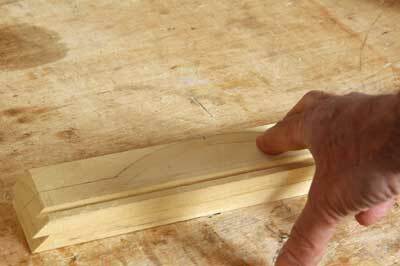 When the board has dried, use a sharp chisel to remove any glue residue and then clean up the board with a random orbital sander. ... and then rip it to the appropriate width. 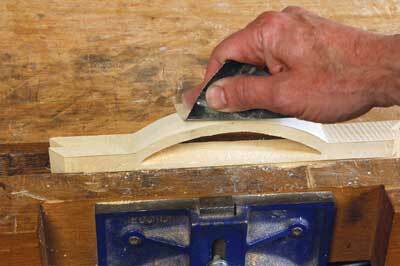 Some of my offcuts were too thick so they were re-sawn on the bandsaw to reduce their width. 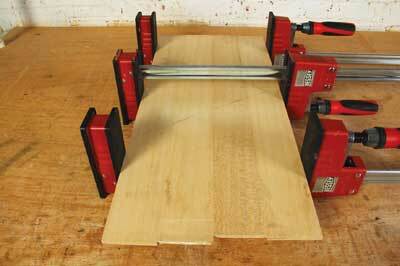 Then they were ripped to width on the tablesaw. 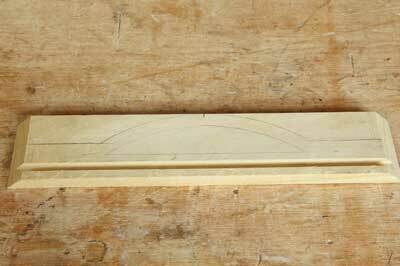 The two sides are 30mm wide and the ends 50mm. 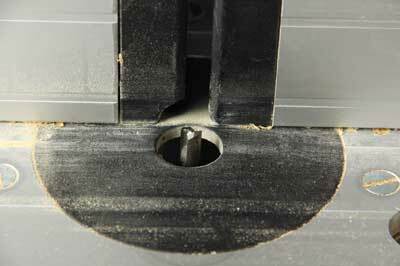 The baseboard is held in a groove that is cut in the tray frame. 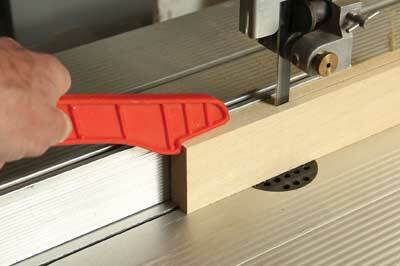 I used a 6mm straight cutter, but you could use a slotting cutter. 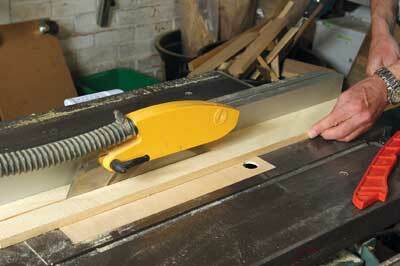 The frame timbers are 12mm thick, so set the depth of cut to about 7mm. Set the groove about 6mm from the edge of the board. 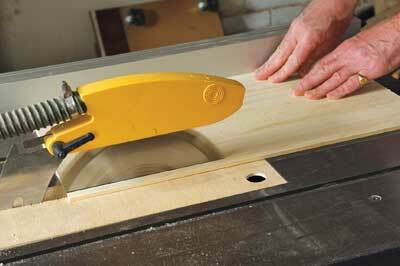 Cut the grooves on all four components, being careful to keep your hands clear of the cutter. 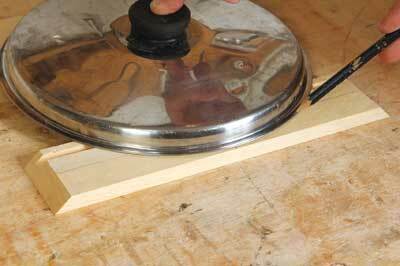 Once the grooves are done, the mitre joints can be cut. 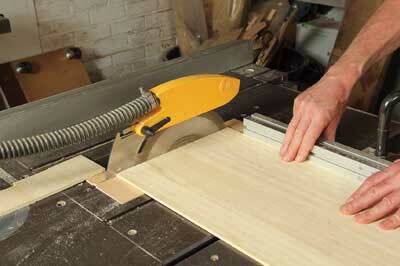 Use a tablesaw with a fine toothed blade, or alternatively a mitre box and tenon saw could be used. 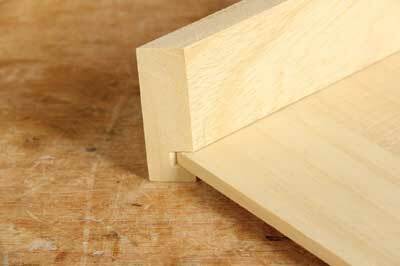 There should be approximately 2mm of clearance on each end of the end pieces, to allow the baseboard to move. 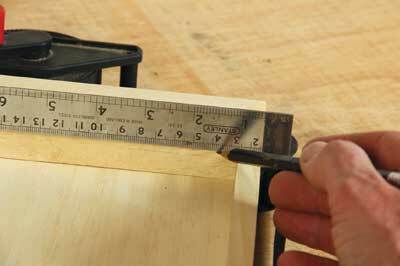 The sides can be cut exactly to length. 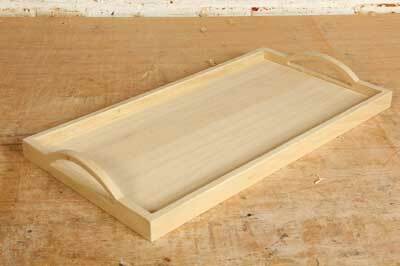 The tray roughly assembled before the ends are shaped. 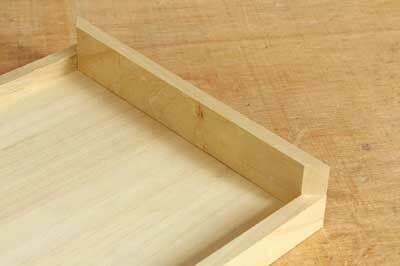 With the tray still assembled, lay a steel rule, or any straightedge across the ends and mark the exact height of the side pieces on the ends. 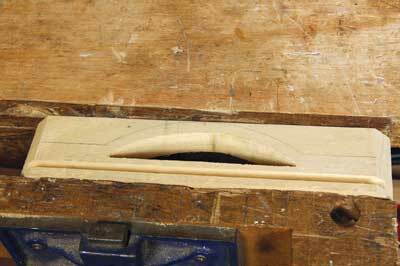 Now mark the shape of the handle. I used a saucepan lid to get the curve I wanted. It had a diameter of 245mm. 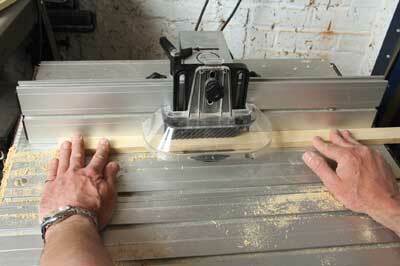 Next, you need to mark a second curve about 10mm below the first. Connect the top curve to the marked lines on the board ends. Connect the ends of the lower curve with a straight line. 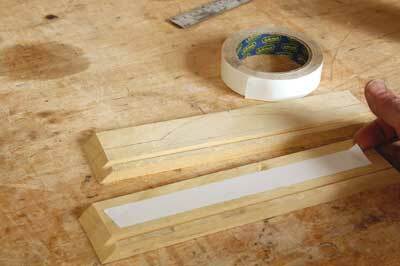 Rather than go through the process of marking the other end, simply fix it underneath the first one with double-sided tape, so that you can work on both ends simultaneously. You need to make sure that it is securely stuck. First cut out the handle hole for the tray. 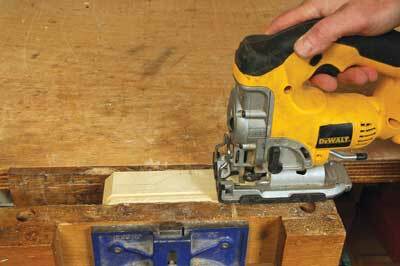 A powered jigsaw or a coping saw can be used for this particular step. 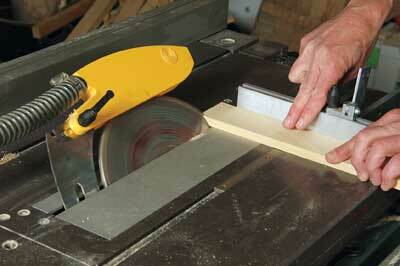 The completed cut should look something like this (see photo for step 20). 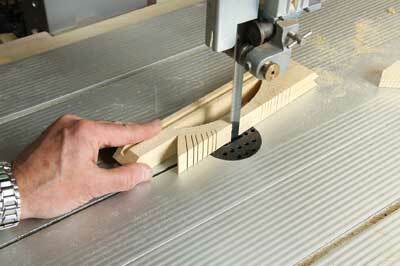 To cut the curve on the top, a bandsaw is the best tool as it gives better support to the workpiece. 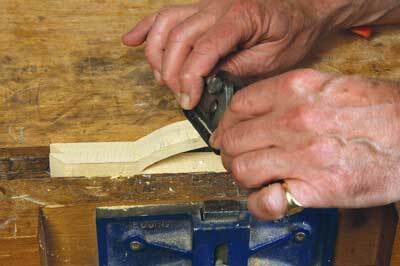 When cutting external curves, remember to make relief cuts in the waste, so that it falls away as the cut is made and does not trap the blade. 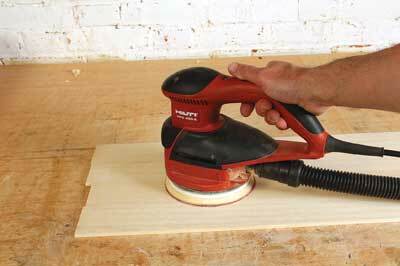 ... using a piece of abrasive paper. 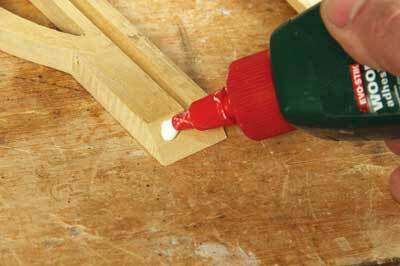 Apply a little glue to the mitre joints, being careful not to get any in the groove for the baseboard. 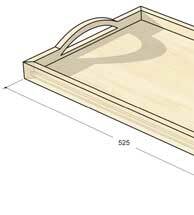 Assemble the frame with the baseboard and clamp up with a frame clamp. 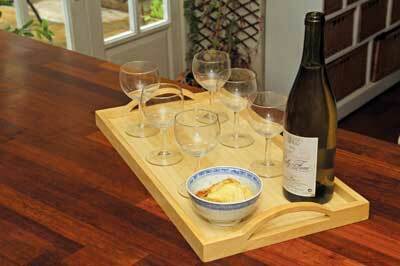 The completed tray is now ready for use.